Super Typhoon Meranti has landed in mainland China after battering Taiwan with its strongest storm in 21 years. 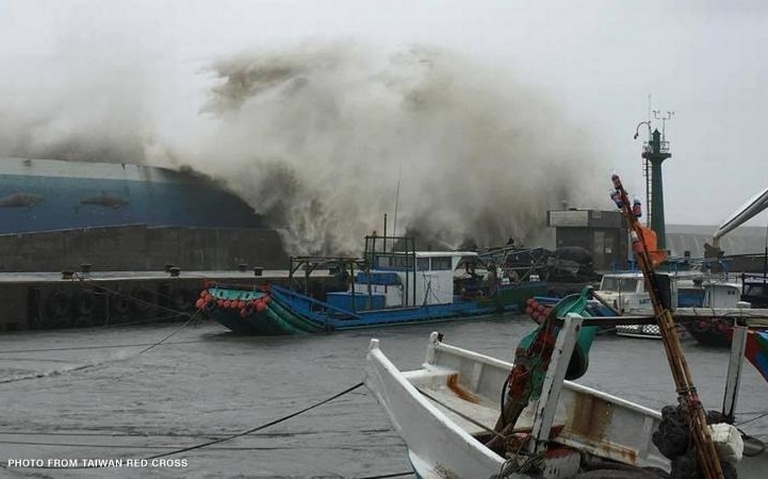 The super typhoon, with gusts of up to 350km/h , killed one person and left half a million homes without power in Taiwan. It made landfall near China's south-eastern city of Xiamen on Thursday morning, having lost some power. 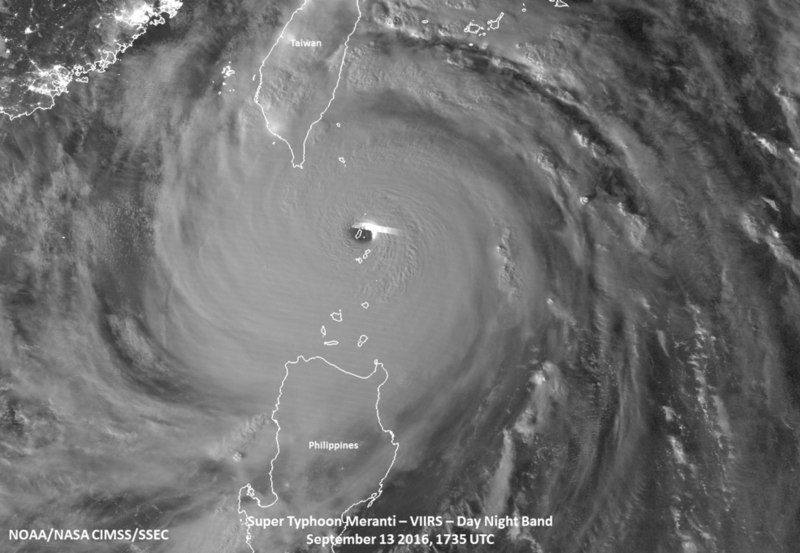 On Sept. 14, the Suomi NPP satellite captured this image that shows Super Typhoon Meranti as it hit the island of Itbayat in the Luzon Strait. Dozens of flights and train services in southern China have been cancelled and tens of thousands of people evacuated, reports the BBC. Pictures on state media showed flooded streets in some parts of the province of Fujian, where Xiamen is located, fallen trees and crushed cars. Xinhua news agency said it was the strongest typhoon to hit that part of the country since the founding of Communist China in 1949 and the strongest so far this year any where in the world. Meranti was a Category 5 typhoon, the strongest classification awarded by Tropical Storm Risk storm tracker, before it made landfall on the mainland and has since been downgraded to Category 2, according to Aljazeera. Although Meranti will continue to weaken, heavy rain will occur across the provinces of Guangdong, Fujian and Jiangxi on Thursday with 4-8 inches of rain expected. The heavy rain will spread across Zhejiang, Anhui and Jiangsu later Thursday and Friday then may impact parts of South Korea Friday night into Saturday. Elsewhere, Typhoon Malakas was located approximately 530 miles east-northeast of Manila, Philippines. Malakas was moving west-northwest at 17 mph. Maximum sustained winds are 95 mph with gusts to 115 mph. Malakas is forecast to continue to strengthen as it moves northwestward over open water over the next 24-48 hours. Malakas is expected to pass just east of Taiwan early Saturday bringing flooding rain and destructive winds to both Taiwan and the Yaeyama Islands. Malakas may then turn northeastward, possibly impacting southwest Japan early next week.